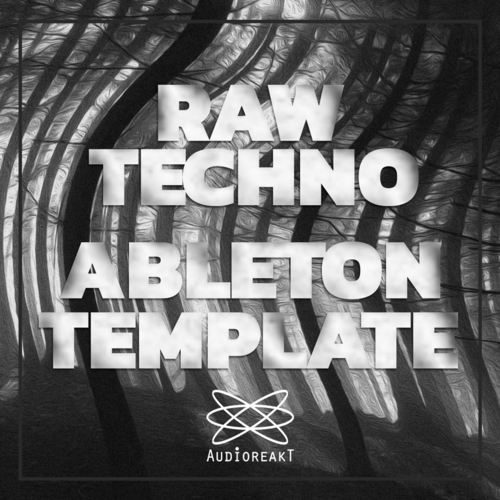 Learn the rope of how to create a raw techno track! Discover or re-discover how powerful the Ableton stock plugin are! In this templates we only have used Ableton Live Stock Plugins, from the creation of the song, to the mixing stage, and finally the mastering! You can deeply study how we create the song, from the session view to the arrangement part. In extra you can check our Youtube Channel to get more insight of the project. Indeed, the project has been created during our Livestream sessions on our Youtube Channel : “ All You Need Is Live”, you can find there the fully videos of the all process. IMPORTANT! You need Ableton Live Suite 10.0.5 minimum to run the Template. You only need Ableton, no third party plug in needed.